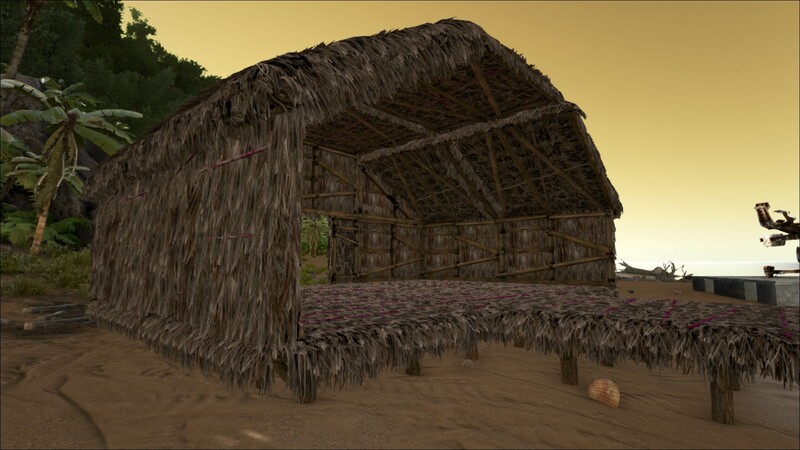 A thatched ceiling to protect you from the elements. Not stable enough to build on. 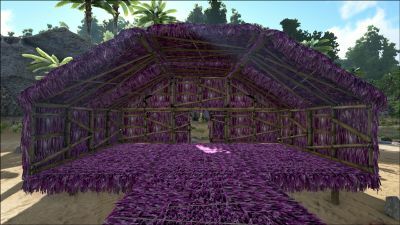 The Thatch Ceiling is the most basic ceiling available. A ceiling provides protection from the elements, by enabling the Home status buff which gives +112 hypo and +56 hyperthermic insulation. This bonus is the same for all "Homes" regardless of materials used. It can be found in white beacons. A Thatch Ceiling requires placement on a Wall, Pillar, Foundation, or another ceiling. Once the first Thatch Ceiling is placed, subsequent Thatch Ceilings can snap into place along the first one, allowing them to line up, provided that there is adequate room to do so. Unlike other ceilings, the Thatch Ceiling is not stable enough to build on, and can not be used as a second floor. This means that walls can not be built on top of it, but place-able items like Hide Sleeping Bags or Storage Boxes can be. Thatch structures are weak and provide very little protection against attacks by dinosaurs or other players. 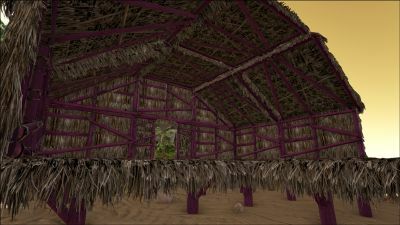 The Thatch Ceiling is treated as a thatch structure and can be damaged by anything except non-explosive ranged attacks. The Thatch Foundation, Thatch Wall, Thatch Doorframe, Thatch Ceiling, Sloped Thatch Roof, Sloped Thatch Wall Left, and Sloped Thatch Wall Right, all share the same paint regions. This page was last edited on 31 March 2019, at 13:06.